In this open interior natural surfaces of wood are combined with natural lighting and gravel gardens to evoke a sense of changing seasons. 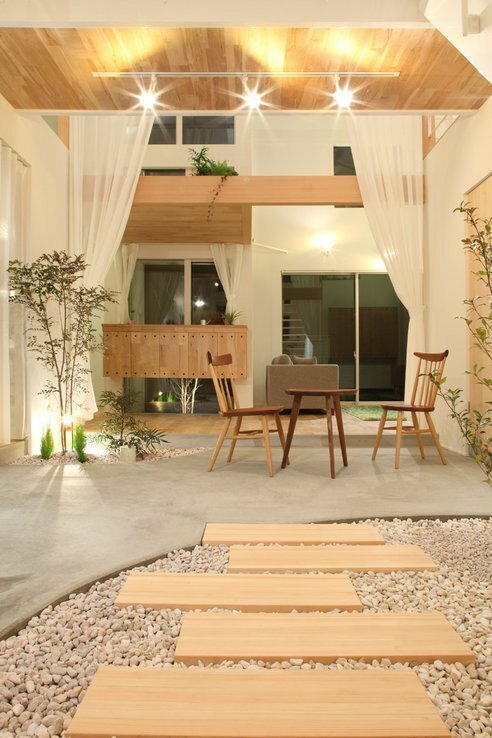 Small trees, succulents and shrubs poke out of the interior gardens, a conscious effort to bring nature inside. 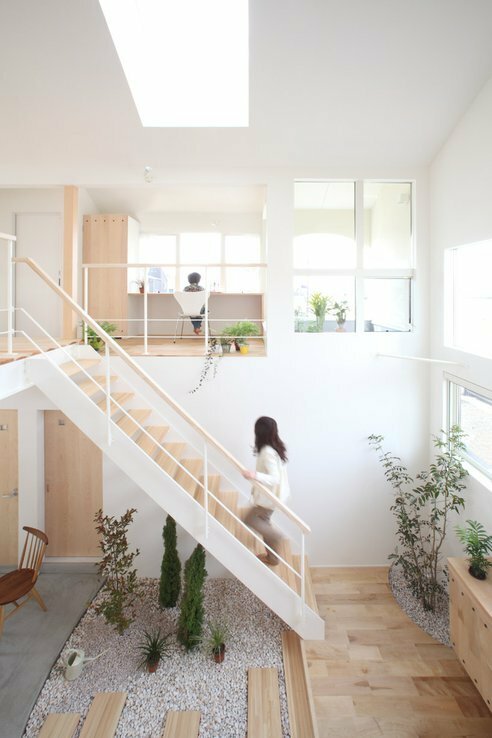 The home is part of a recycling oriented society in Shiga, a village near Tokyo, Japan.